Starting in September 2018, we brought back the Honors Program and have made a lot of progress creating opportunities for students! The Director of the Writing Center, Casey Reid, and I are now the advisors for Lane’s Sigma Zeta Chapter of Phi Theta Kappa. We will be bringing the chapter back in winter of 2019! Honors students can hold leadership positions in PTK to fulfill their experiential learning requirement. Also, we will hold workshops for both Honors and PTK to help students build and maintain ePortfolios, create research posters, and develop their resumes. We reinstated our agreement with Portland State University’s Honors College. Students completing our program can transfer directly into their college as juniors. We are in the process of reinstating our agreement with Southern Oregon University’s Honors College. We are also in conversation with the University of Oregon’s Clark Honors College, which is interested in developing a transfer agreement with us. Watch for more details on these last two agreements and other developments in 2019! This entry was posted in ePortfolios, Phi Theta Kappa, Portland State University, Southern Oregon University, Transfer Agreements, University of Oregon, Writing Center and tagged Casey Reid on December 7, 2018 by Ce Rosenow. In my last posts, I noted the college’s plans to eliminate the Honors Program. Although the Board of Education has not officially voted on the final budget, it will do so at tomorrow’s Board meeting. When I know what next year’s version of honors will look like as students complete the program, I will add a post with that information. In the meantime, I want to focus on what the Honors Program has been about for seven years: building scholars and providing opportunities for undergraduate research. 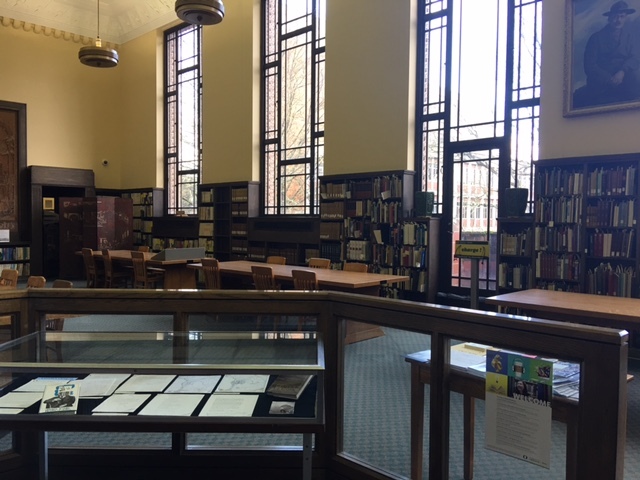 In the Invitation to Inquiry Seminar held each winter, the students visit the University of Oregon’s Special Collections Library. There are previous posts describing this event and sharing photos on this blog. 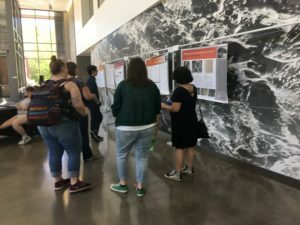 In the Capstone Seminar held each spring, the students visit the University of Oregon’s (UO) Undergraduate Research Symposium, the Lane Community College Poster Day, and Oregon State University’s (OSU) Honors Thesis Fair. 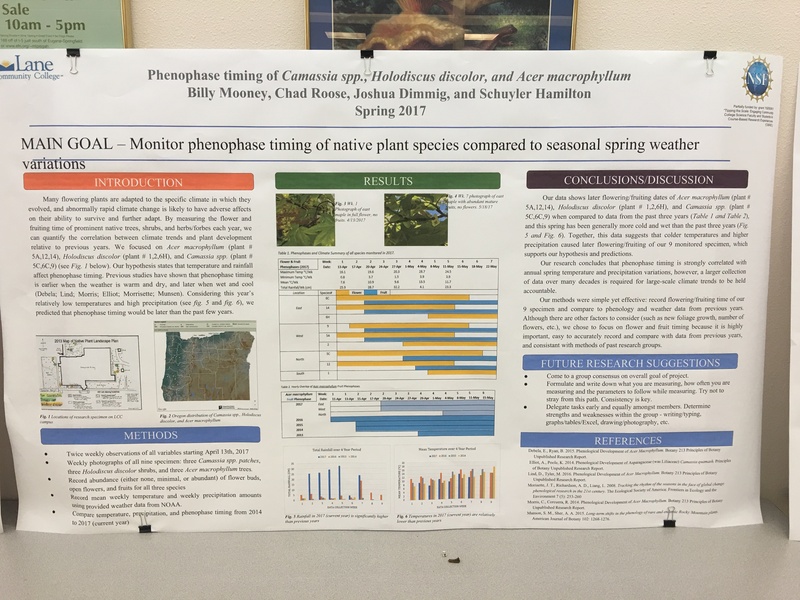 They also put on their own Honors Spring Symposium (I’ll blog about this soon as the symposium is tomorrow!). 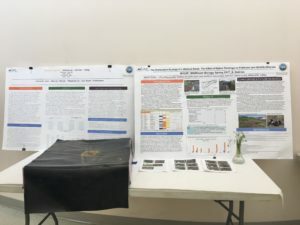 There are several benefits to attending the UO’s Undergraduate Research Symposium. 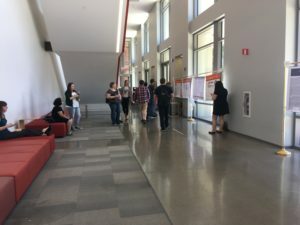 These benefits include becoming more familiar with, and comfortable on, the UO campus; seeing examples of research posters; reading a range of abstracts in the symposium program; and attending panel presentations. All of these benefits allow the students to see their research in context of other student research, to build confidence, and to take what they learn from the symposium and apply it to their own projects and assignments in the seminar. In short, this field trip supports the college’s Core Learning Outcome: Apply Learning. Visiting the college’s own poster day builds on the UO visit by showing students the research projects other students at our college are engaged in and the quality of their posters. This event is organized by honors science faculty, Stacey Kiser, who also team-teaches the two honors seminars with me. 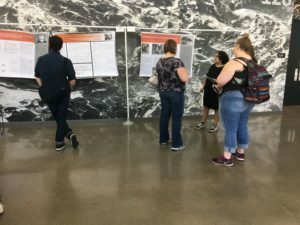 Viewing the posters and talking with fellow students helps the seminar students see their work in the context of fellow Lane students. Another example of a Lane science poster. 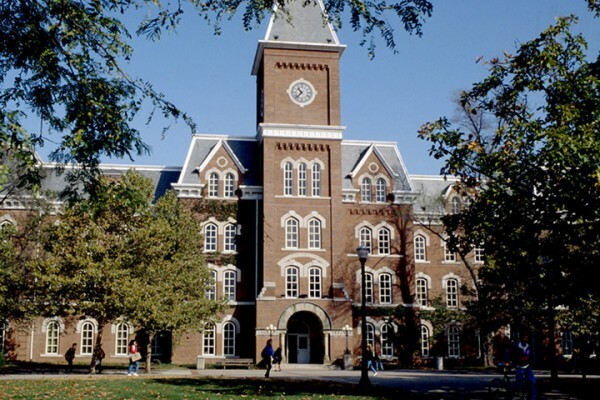 Finally, the trip to the OSU provides examples of the research and educational experiences of other honors students. We have an information session at the OSU Honors College where the students learn about the requirements for transfer students and see the honors lounge, workroom, and classrooms. We also review the abstracts for the honors posters, walk through the poster session, and talk with students about their work. Students viewing OSU research posters. 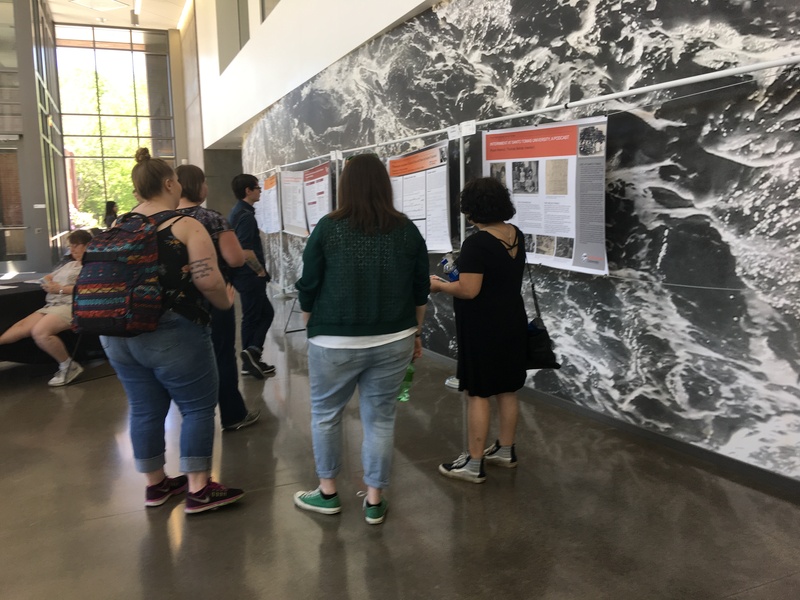 This trip provides a context for honors research, presents sample abstracts and posters that the students can consider when creating their own, and helps make them more comfortable on the OSU campus. It was gratifying to hear students talking about applying to the OSU Honors College after our visit! 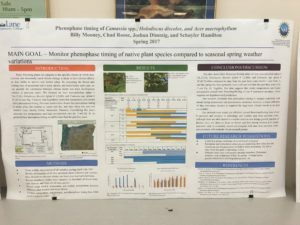 Having seen the presentations, poster, and pamphlet the students will share at the Honors Spring Symposium tomorrow, I know the value of these field trips and the impact they have on the students’ own research and on their sense of themselves as scholars moving forward into their academic careers. This entry was posted in Honors Events, Honors Students, Oregon State University, Research, Seminars, Uncategorized, Undergraduate Research, University of Oregon and tagged Stacey Kiser on June 6, 2017 by Ce Rosenow. 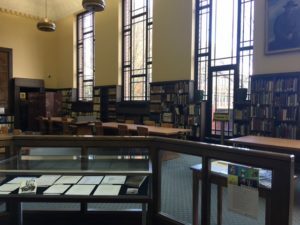 Every winter, the students in the Invitation to Inquiry Seminar visit the University of Oregon’s Special Collections Library. Manuscripts Librarian, Linda Long, teaches an instructive and engaging class on archival research, introducing students to the concepts of scholarly archives, special collections, finding aids, etc. 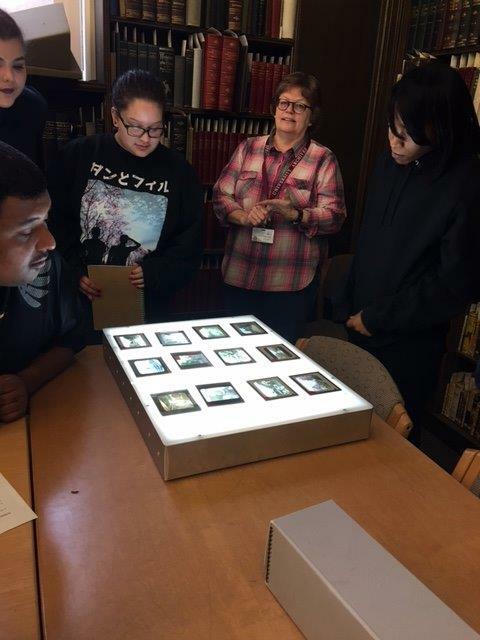 Examining Japanese lantern slides from the Gertrude Bass Warner Collection. The last part of the class is open for the students to walk around the room examining the various rare books and manuscripts that Linda has brought out for them to see. 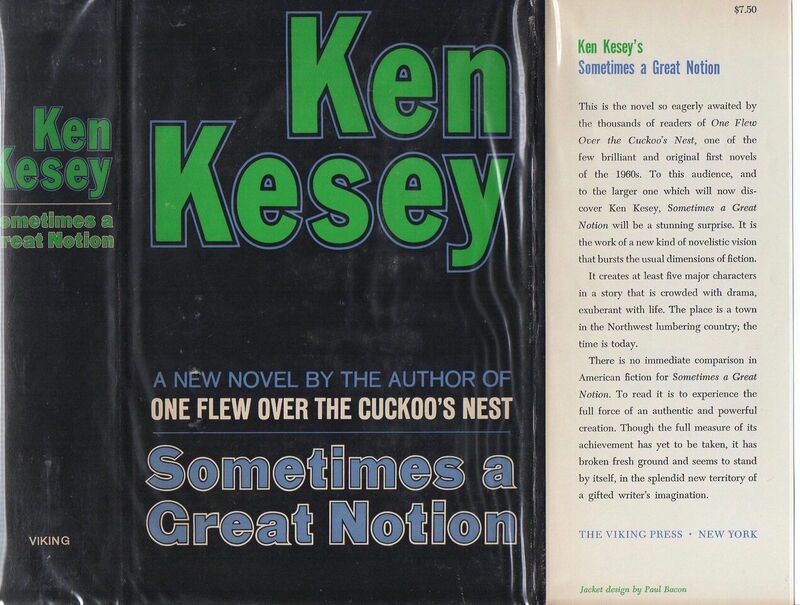 Original manuscript for Ken Kesey’s novel, Sometimes a Great Notion. 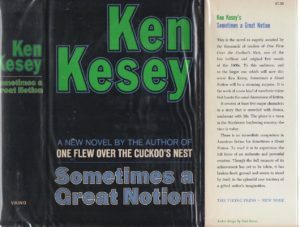 A signed first edition of Sometimes a Great Notion is currently valued at $2000. This class session is one of my favorites each year because it is such a pivotal moment for the students. 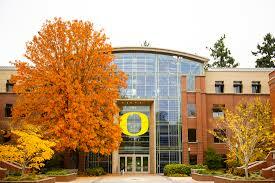 For instance, most students have not been to the University of Oregon’s campus before. Although many of them will transfer to UO, at this point the campus is a large, unfamiliar, and confusing space. After the special collections class, students have a point of reference on the campus. 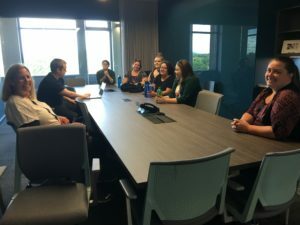 They also begin to realize that the library resources at UO are available to them now and they are welcome to use them at any time. A second moment of awareness that occurs on this trip is just how extensive academic research can be, how many sources of information are out there, and that there is no end to what can be researched. Viewing 13th and 14th century manuscripts emphasizes the long research history they are now a part of while the online research opportunities including access to Archives West reveals how contemporary research benefits from an ever-expanding access to materials. Linda Long and I plan to meet to find ways to incorporate archival research into the Honors Program. 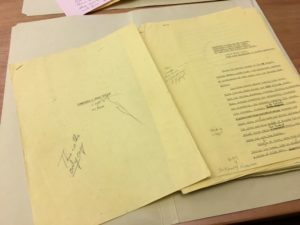 This entry was posted in Seminars, Uncategorized, Undergraduate Research, University of Oregon and tagged Linda Long on February 16, 2017 by Ce Rosenow.